For every Eve player, there’s are nine observers cheering on their slow-burn sneakery and occasional outright villainy from relative safety on the outside. Beyond the few who become subscribers, it’s been tough for CCP to profit directly from that interest – but they’re finding ways. Their Eve: True Stories comic with Dark Horse was the first step, and the next is a TV series. Directed by Icelandic 2 Guns director Baltasar Kormakur, it will see the developers work with “the big boys” of the small screen to retell the greatest crimes in Eve’s history. Dare we speculatively invoke the letters H, B and O? While CCP’s Torfil Oloffson wouldn’t name any of the three-acronymed networks behind America’s most expensive and culturally pervasive shows, he did tell RPS that CCP had plenty of “potential ways to go” for capable partners. In explaining why Eve Online was headed for television and not film, it became clear which shows Oloffson and CCP have in mind. “We had a lot of people approaching us wanting to condense everything into a 90 minute or 120 minute film. And if you look at action or science fiction movies today they’re kind of targeted at PG-13 audiences,” he explained. CCP last year approached key members of their community for in-game accounts of past events, which will now inform the TV series – though they’ll differ in the retelling. 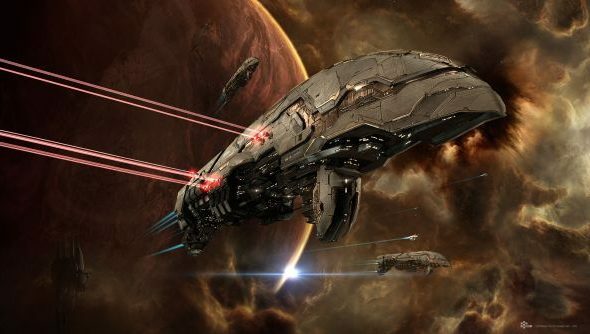 Most crucially, it seems CCP and their friends in TV will take the aspects of Eve that lie outside the game – in VOIP and spreadsheets – and integrate them into the universe. Hmm! Do you think it’s going to work?